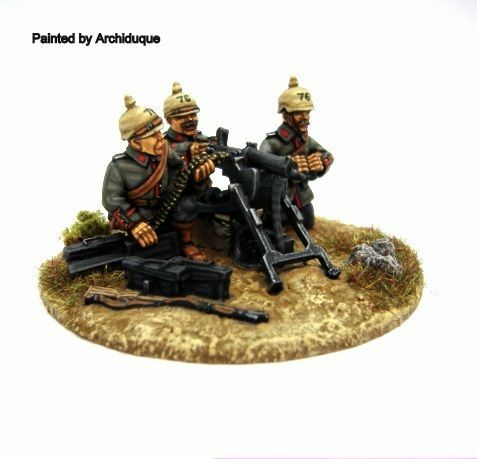 Early war German Maxim Heavy Machine gun with three crew. 28mm sized model kit, made of metal, requires glue for assembly. Supplied unpainted.